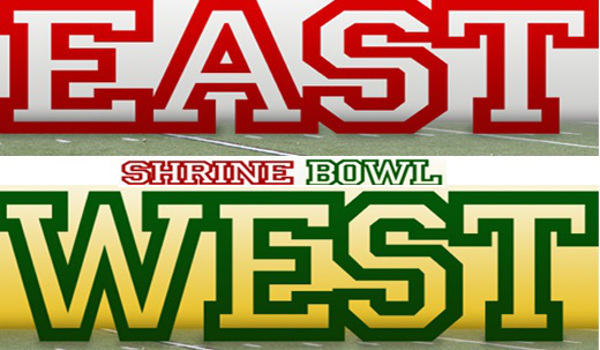 The 41st annual Kansas Shrine Bowl between the East and the West will kick off at 7:05 p.m. Saturday at Pittsburg State University’s Carnie Smith Stadium. The game, which features some of the top recently-graduated high school football players in the state, was created to generate money for Shriners Hospitals for Children. All proceeds from the game go to benefit the network of 22 hospitals. In last year’s game at Washburn University’s Yager Stadium in Topeka, the East defeated the West 22-19 to snap a seven-game losing streak in the series. The East’s go-ahead touchdown came on a 4th-and-4 call when fullback Conley Wilkins (Blue Valley West) lofted a 20-yard pass to a wide-open Austin Moses (Blue Valley Northwest). West leads the all-time series 25-14-1.